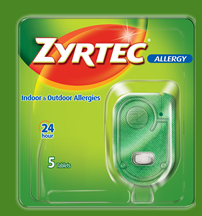 The Zyrtec offer is back again. If you qualify, you can get up to a $7 coupon off any Zyrtec 5 ct. The coupon is mailed but, from what I hear, these coupons come pretty quickly. And, hopefully you can get it in time before the CVS sale next week.